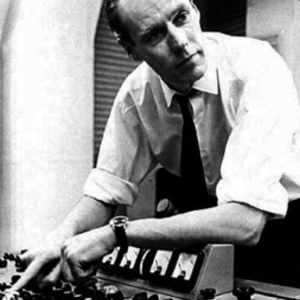 Sir George Henry Martin (3 January 1926-) is an english record producer, arranger, composer and musician. He is sometimes referred to as "the Fifth Beatle"?a title that he owes to his work as producer of all but one of The Beatles' original records, as well as playing piano on some of their tracks. In 1965 he established the Associated Independent Recording (AIR) Studios. Although officially retired, he is still the chairman of the AIR board. In 1965 he established the Associated Independent Recording (AIR) Studios. Although officially retired, he is still the chairman of the AIR board. In recognition of his services to the music industry, he was made a Knight Bachelor in 1996 and in 1999 he was inducted into the rock and roll Hall of Fame.